Why Tibetan Singing Bowl is so Addictive? As per Tibetan oral tradition, the existence of singing bowls dates back to the time of the historical Buddha Shakyamuni (560 - 480 B.C.). The tradition was brought from India to Tibet, along with the teachings of the Buddha, by the great tantric master Padmasambhava in the 8th century A.D.
Tibetan singing bowls are metal bowls usually made from a combination of metal alloys and originally used by Tibetan monks for spiritual ceremonies. 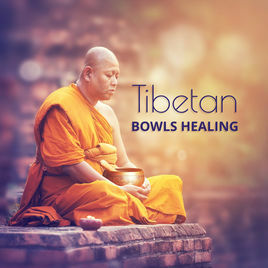 Tibetan Singing bowls produce sounds which invoke a deep state of relaxation which naturally assists one in entering into meditation, the ultimate goal being enlightenment. They are a quintessential aid to meditation and can be found on private Buddhist altars, and in temples, monasteries and meditation halls throughout the world. ‍Singing bowls - also known as Himalayan bowls - are used in yoga, music therapy, sound healing, and religious ceremonies. Tibetan bowls emit very pure tones, close to sine waves. Their sound is a synonym of purity for our ears. While sound healing is not a new concept, there is a paucity of research in areas such as Tibetan or quartz crystal singing bowls. The majority of singing bowl studies relate to the physics of these musical instruments, including the sonic and wave properties, as well as attempting to model the singing bowl’s acoustic characteristics. In one study, singing bowls were used for emotional healing with high-risk youth as part of what was termed the best self-visualization method. The bowls were used in a psychotherapy model in combination with deep breathing, visualization, and a loving-kindness meditation. It reported that this combination of healing methods may be a catalyst for emotional and psychological healing in counselling sessions. Tibetan Singing Bowl Used In Yoga. You can get pure Tibetan singing bowl from here.